The arms of the city in the centre of the badge are surrounded by maple and birch leaves referring to the country and the Province of Quebec. 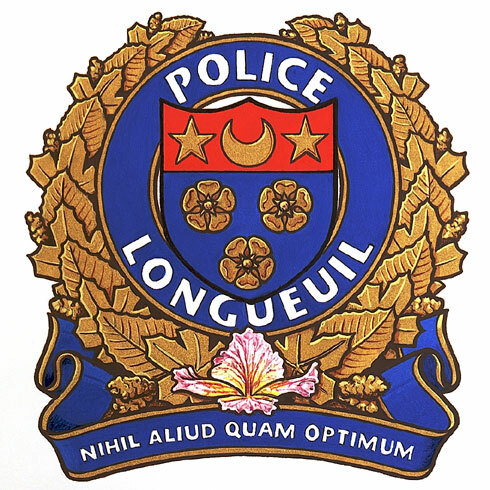 At the base of the badge is a blue iris also representing the province of Quebec. The motto of the Police Department, NIHIL ALIUD QUAM OPTIMUM, means "Nothing but the best".